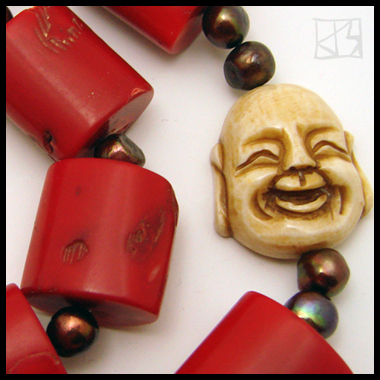 A balance of Old Asia and Western Modern in one timeless piece! 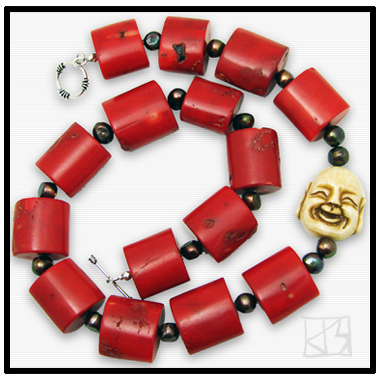 Large natural red branch coral beads are separated by genuine coppery freshwater pearls, secured with a Bali sterling silver toggle. 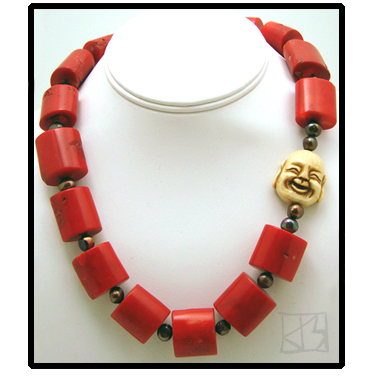 The focal point is the happy carved Buddha face smiling good fortune on everyone, placed asymmetrically toward the shoulder (can be worn left or right). Coral represents vitality and is said to facilitate circulation... all that and gorgeous too!